ADABOX 007 UNBOXING LIVE! TONIGHT! 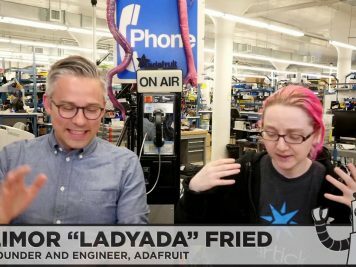 9pm EST @adafruit @johnedgarpark #adafruit #adabox007 « Adafruit Industries – Makers, hackers, artists, designers and engineers! JOIN US at tonight at 9pm EST for the live unboxing of AdaBox 007 — We’ll have a Q&A, live demos, and more!